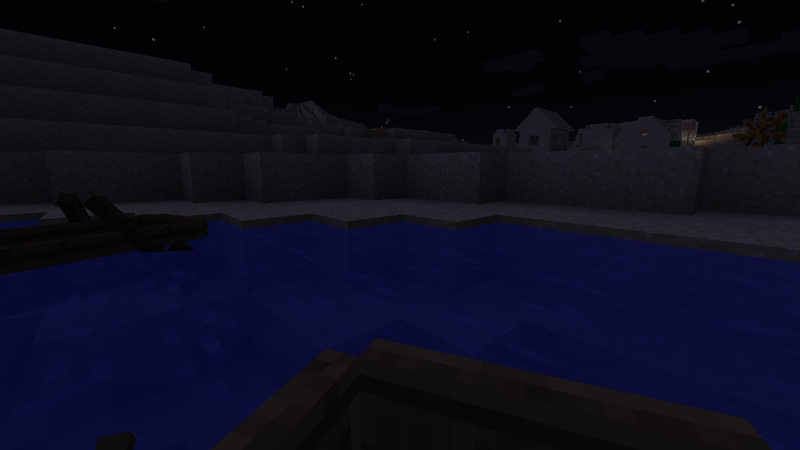 Outside an NPC village at -1442/62/323: an abandoned boat! On a distant shore at -1542/62/426, a lone crafting bench. @evilskillit, it would be cool if when you have time you check out http://overviewer.org/ and generate a Google map of the world! Ok I removed your wood pillar as requested. As for the Overviewer thing. I made a copy of our map then ran Overviewer against it and it generated a folder with a bunch of stuff in it that is 1.4GB. So I'm wondering what do you do next? Well you need a web page to host that stuff from. I don't really do any web page hosting. If anyone here is interested in hosting this content I could either zip the output files and put send them to someone, or I could just send someone a copy of the world and they could use Overviewer to render themselves a map of it. I took some pictures of the output and attached them here. Wow you guys work fast. If I didn't currently have several different time consuming obsessions, I'd try playing again. I took some pictures of the output and attached them here. I can see my hole from here. Ah, you found some remains of my great carrot hunting expedition. There's even a little story to those things. 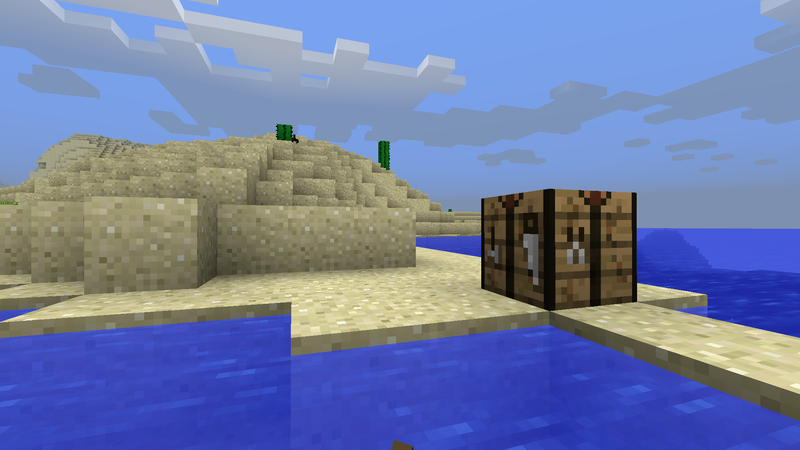 I couldn't get back to my first boat from the other side of the village at night because of the mobs, and that crafting table was hurriedly placed to make a boat as I fled some skeletons. That was a profitable village, for what it's worth. I am working on building a rail tunnel to a nearby village, should be able to make progress, and possibly finish it tonight. Someone should get some pigs corralled now that we have carrots. Man, it's been way too long since I've played. If you could add LordKorax to the whitelist, that would be great! Yeah @evilskillit screenshots are fine, I forgot how big the files were. @neonrev Cool! So some of our carrots are descended from a near-disastrous expedition overseas, like Walter Raleigh and the potato. 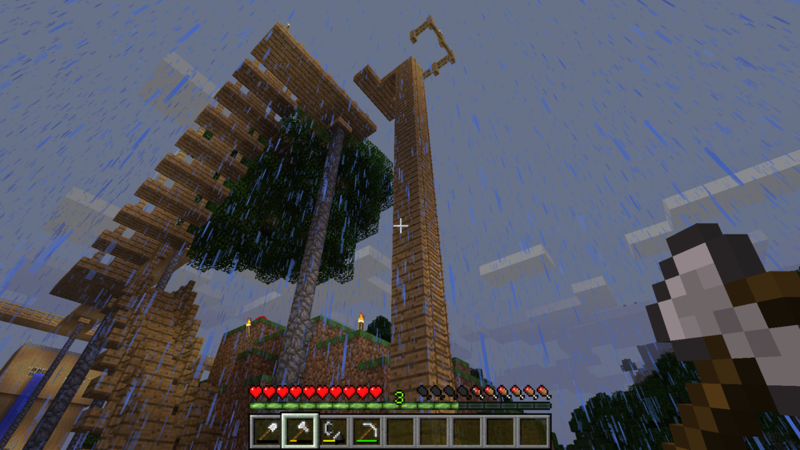 On my own expedition I brought back three spruce saplings from a distant mega taiga biome for the tree top walk. 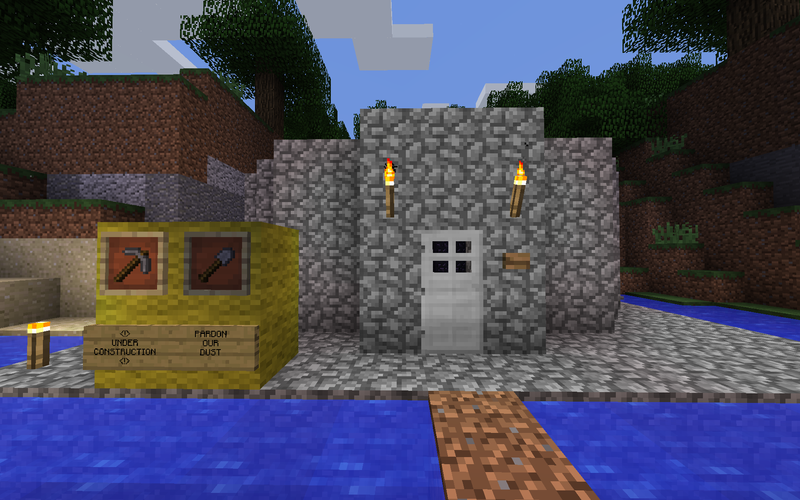 There's amazing creativity that comes out of, well, Creative mode but I prefer Survival mode for the stories. @KoraxI've added you to the whitelist. Hop on and mine some crafts! @Cordeos should be able to add people to the server whitelist now as well. This is awesome, thanks for starting it back up again! I changed the dns srv records around so you can use idlemc.com as the server name again if you prefer! My first little wood house I built is now a doss-house (flophouse) for anyone to use if homeless for whatever reason. I have plans for a new dwelling. I think my ingame name is also jutranjo, could someone please whitelist me? I carved out a patch across the lake to start building a cool fort. Also, I made a little graveyard? @Wooben I'm a bit busy but I'll make that a to-do. Expect one between now and Tuesday. @Cordeos Thanks for helping auth! Everyone, the server is looking awesome. Keep up the crafting. @Wooben I don't have access to the fancy mapping tool, i flew around a bit and took some screenshots. Hope this sates your thirst until Evilskillit can map it. Ok, so things happen when I get ideas. I found some random free web host and uploaded the output of overviewer to it. The files are still uploading but currently it works. I have no idea how much bandwidth this uses, so I have no idea how long this will stay up for free. Maybe it'll work forever, or maybe you all will get it shut down immediately. In the mean time here, go play with it! IdleMC Google Maps Type Web Page Thingie! Ok here are a bunch of fun pictures from the google maps rendering thingie. I did a bit more research on how to use it and managed to get a render that shows everything everyone has built and was only 300mb. I'm not a web server guy, but maybe I'll see if I can figure out a way to stand this up somewhere so people can play with it, because it's darn cool. Anyways, pictures. 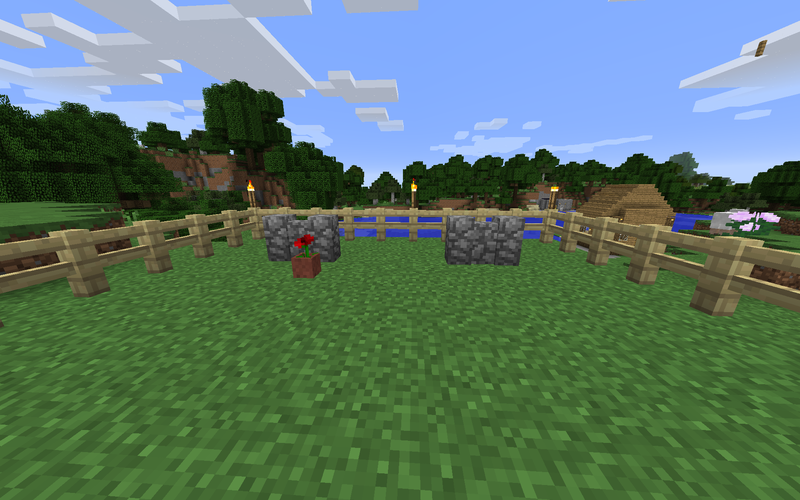 I have to say it's really nice to to jump into Minecraft without even thinking about mods. Every time I've tried playing again since I "quit" I've always done so with the end goal of installing a number of the coolest mods. But that requires going back several versions, etc. I've set up a bunch of mods for my kid using multi-MC. To be honest the whole thing is usually an exercise in frustration for me. I have no idea how one sets up a modded server, but at some point in the future if enough people are interested we can try to figure it out. Current vanilla seems pretty decent. Everyone sure is building a lot of cool stuff there.